When it comes to supplements for improving athletic performance, there tends to be a focus on muscle building, testosterone boosting, and strength gains. While some of these supplements are certainly worth incorporating for any athlete looking to optimize their performance, there is one area that often seems to be poorly understood and altogether neglected by both coaches and athletes when it comes to supplementation. Conditioning, or your “engine” as it’s commonly referred to in the CrossFit world, is indisputably an essential component of athletic development. If you have tried CrossFit for any length of time, you know that besides having enough strength to move the prescribed weights and the skill to perform any technical movements, your engine can quickly become the limiting factor in your ability to perform. Of course, first and foremost, you should be following a properly structured training program designed by a coach who understands the intricacies of energy system development. It’s a complicated topic and following a haphazard mashup of random WODs won’t get you the best results. Assuming you have a good training program in place, what supplements are best for improving conditioning performance and optimizing your engine? While there are hundreds of products on the market that claim to help, in today’s article, I’ll cover three research-backed supplements that are proven to work. Research has found that beta-alanine supplementation can help improve exercise performance during both anaerobic and aerobic events by increasing levels of a peptide molecule known as carnosine in skeletal muscle. Increased levels of carnosine in muscle tissue can help buffer acidic metabolic byproducts (i.e. hydrogen ions), maintain pH levels during exercise, and improve performance during high-intensity interval training [1,2]. A double-blind study published in the Journal of the International Society of Sports Nutrition found that, compared to placebo, beta-alanine supplementation in athletes performing high-intensity interval training had improved oxygen utilization, decreased time to fatigue, and increased total work output . A meta-analysis published in 2012 looked at fifteen different studies and found that beta-alanine improves exercise performance in events that last from 60 seconds to four minutes as well as events that have a time domain beyond four minutes . As you can imagine, all of these findings are especially relevant for CrossFit athletes. If you’re a CrossFit athlete, I recommend taking anywhere from 3 to 6 grams of beta-alanine everyday as both the peer-reviewed evidence and my own experience suggests this is the optimal range. Taking more than a gram or two at a time can result in a temporary “tingling” or itching sensation on your skin. While some athletes don’t mind it, if you want to avoid the beta-alanine tingle, I would suggest splitting it up into 2 or 3 doses throughout the day. Another option would be taking a slow-release version of beta-alanine such as the one made by Thorne Research. If you remember your high school biology course, you know that the mitochondria are considered to be the “powerhouses” of the cell and produce adenosine triphosphate (ATP). Healthy mitochondria are not only critically important for your conditioning performance but your overall health and fitness as well. Increasing the number of mitochondria as well as optimizing their function means more energy available to your heart and skeletal muscles during exercise which means improved aerobic endurance . Nicotinamide Riboside (NR) is a supplement that has been found to facilitate mitochondrial biogenesis, the formation of more energy-producing mitochondria . Nicotinamide riboside is a precursor to nicotinamide adenine dinucleotide (NAD+) which is a critical component of the metabolic processes involved in mitochondrial energy production. NAD+ is a key component of glycolysis, the citric acid cycle, and the electron transport chain, all of which are involved in mitochondrial production of ATP energy. Research has found that nicotinamide riboside supplementation can enhance mitochondrial function, oxidative metabolism, and endurance performance . In addition to improving your engine at the cellular level, nicotinamide riboside offers other health benefits such as improving insulin sensitivity, extending cellular lifespan, as well as preventing degeneration of nerve cells [9,10]. 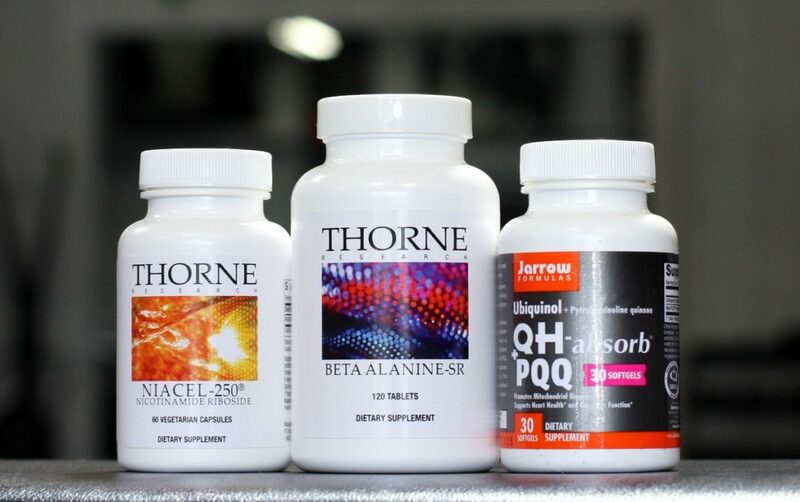 If you’re interested in adding nicotinamide riboside to your supplement regimen, I recommend taking either 250 to 500 mg daily of Thorne’s Niacel product. Pyrroloquinoline Quinone (PQQ) is a bioactive compound that has been found to increase mitochondrial biogenesis, reduce oxidative stress, and protect mitochondria by reducing damage to cell membranes [11,12,13]. Like nicotinamide riboside, PQQ can help improve energy production at the cellular level by optimizing mitochondrial health. PQQ increases mitochondrial biogenesis through its effect on Peroxisome proliferator-activated receptor Gamma Coactivator 1-alpha (PGC-1α). PGC-1α is considered to be a master regulator of mitochondrial biogenesis and key regulator of energy metabolism [14,15,16,17]. PGC-1α has also been found to be activated by endurance exercise as well as cold exposure [16,17]. PQQ offers some of the same benefits such as increased mitochondrial density and energy metabolism. Other research has found that PQQ offers additional benefits including reducing markers of inflammation such as C-reactive protein and interleukin-6 . PQQ has also been found to improve cognitive function, improve memory performance, and stimulate production of nerve growth factors [19,20,21]. 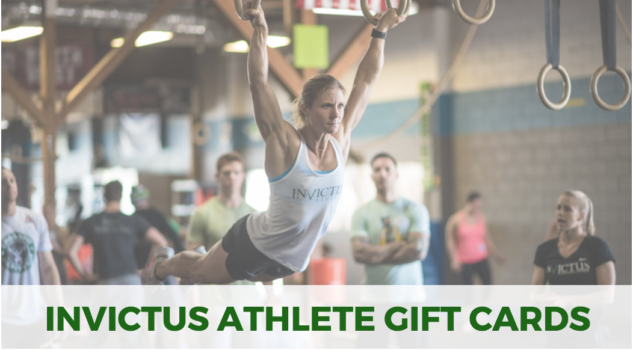 These benefits are relevant to CrossFit athletes, masters athletes, as well as anyone who wants to optimize their health. If you’re interested in incorporating PQQ in your supplement regimen, I recommend taking 10 to 20 mg daily. If you’re looking for a product recommendation, I suggest the PQQ+CoQ10 product from Jarrow Formulas. These supplements won’t replace a good training program and consistent hard work but they can certainly help give you an edge in your conditioning development. I encourage you to experiment and see what works best for you. Typically, I start my athletes on the low-end of my recommended ranges and work up from there. If you’re interested in learning more about how to enhance your performance and optimize your recovery, check out my eBook on post-workout supplementation. 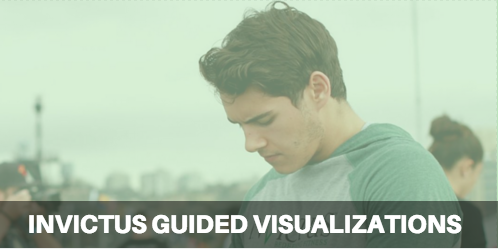 Inside you’ll find a variety of recommended supplements, reference charts, meal timing suggestions, and goal-based guidelines. You’ll also get access to my private coaching group where I share the latest research, supplement reviews, protocols, and answer your questions. Should You Consider Taking Glutamine? Baguet A, Koppo K, Pottier A, Derave W. Beta-alanine supplementation reduces acidosis but not oxygen uptake response during high-intensity cycling exercise. Eur J Appl Physiol. 2010 Feb;108(3):495-503. doi: 10.1007/s00421-009-1225-0. Epub 2009 Oct 16. Danaher J, Gerber T, Wellard RM, Stathis CG. The effect of β-alanine and NaHCO3 co-ingestion on buffering capacity and exercise performance with high-intensity exercise in healthy males. Eur J Appl Physiol. 2014 Aug;114(8):1715-24. doi: 10.1007/s00421-014-2895-9. Epub 2014 May 16. Smith AE, Walter AA, Graef JL, Kendall KL, Moon JR, Lockwood CM, Fukuda DH, Beck TW, Cramer JT, Stout JR. Effects of beta-alanine supplementation and high-intensity interval training on endurance performance and body composition in men; a double-blind trial. J Int Soc Sports Nutr. 2009 Feb 11;6:5. doi: 10.1186/1550-2783-6-5. Hobson RM, Saunders B, Ball G, Harris RC, Sale C. Effects of β-alanine supplementation on exercise performance: a meta-analysis. Amino Acids. 2012 Jul;43(1):25-37. doi: 10.1007/s00726-011-1200-z. Epub 2012 Jan 24. Sameer Kalghatgi, Catherine S. Spina, James C. Costello, Marc Liesa, J Ruben Morones-Ramirez, Shimyn Slomovic, Anthony Molina, Orian S. Shirihai, and James J. Collins. Bactericidal Antibiotics Induce Mitochondrial Dysfunction and Oxidative Damage in Mammalian Cells. Sci Transl Med. 2013 Jul 3; 5(192): 192ra85.doi: 10.1126/scitranslmed.3006055. Khan, Nahid et al. Effective treatment of mitochondrial myopathy by nicotinamide riboside, a vitamin B3. EMBO Molecular Medicine (2014) 6, 721-731. Chi, Yulinga; Sauve, Anthony A. Nicotinamide riboside, a trace nutrient in foods, is a Vitamin B3 with effects on energy metabolism and neuroprotection. Current Opinion in Clinical Nutrition & Metabolic Care: November 2013 – Volume 16 – Issue 6 – p 657–661. doi: 10.1097/MCO.0b013e32836510c0. Toshiyuki Araki, Yo Sasaki, Jeffrey Milbrandt. Increased Nuclear NAD Biosynthesis and SIRT1 Activation Prevent Axonal Degeneration. Science 13 Aug 2004: Vol. 305, Issue 5686, pp. 1010-1013. DOI: 10.1126/science.1098014. Chowanadisa, Winyoo et al. Pyrroloquinoline Quinone Stimulates Mitochondrial Biogenesis through cAMP Response Element-binding Protein Phosphorylation and Increased PGC-1α Expression. J Biol Chem. 2010 Jan 1; 285(1): 142–152. Published online 2009 Oct 27. doi: 10.1074/jbc.M109.030130. Tao R, et al. Pyrroloquinoline quinone preserves mitochondrial function and prevents oxidative injury in adult rat cardiac myocytes. Biochem Biophys Res Commun. 2007 Nov 16;363(2):257-62. Epub 2007 Aug 14. Kumar N1, Kar A. Pyrroloquinoline quinone ameliorates oxidative stress and lipid peroxidation in the brain of streptozotocin-induced diabetic mice. Can J Physiol Pharmacol. 2015 Jan;93(1):71-9. doi: 10.1139/cjpp-2014-0270. Sanchis-Gomar F, et al. Mitochondrial biogenesis in health and disease. Molecular and therapeutic approaches. Curr. Pharm. Des. 20 (35): 5619–5633. doi:10.2174/1381612820666140306095106. Dorn GW, Vega RB, Kelly DP. Mitochondrial biogenesis and dynamics in the developing and diseased heart. Genes Dev. 29 (19): 1981–91. doi:10.1101/gad.269894.115. Pilegaard H, Saltin B, Neufer PD. Exercise induces transient transcriptional activation of the PGC-1alpha gene in human skeletal muscle. J. Physiol. (Lond.). 546 (Pt 3): 851–8. doi:10.1113/jphysiol.2002.034850. Huiyun Liang, Walter F. Ward. PGC-1α: a key regulator of energy metabolism. Advances in Physiology Education Published 1 December 2006 Vol. 30 no. 4, 145-151 DOI: 10.1152/advan.00052.2006. Harris CB, Chowanadisai W, Mishchuk DO, Satre MA, Slupsky CM, Rucker RB. Dietary pyrroloquinoline quinone (PQQ) alters indicators of inflammation and mitochondrial-related metabolism in human subjects. J Nutr Biochem. 2013 Dec;24(12):2076-84. doi: 10.1016/j.jnutbio.2013.07.008. Nakano M, Ubukata K, Yamamoto T, Yamaguchi H. Effect of pyrroloquinoline quinone (PQQ) on mental status of middle-aged and elderly persons. Food Style 21. 13 (7): 50–52. Ohwada, K., et al.”Pyrroloquinoline quinone (PQQ) prevents cognitive deficit caused by oxidative stress in rats. Journal of Clinical Biochemistry and Nutrition. 42 (1): 29–34. Murase, K; Hattori, A; Kohno, M; Hayashi, K. Stimulation of nerve growth factor synthesis/secretion in mouse astroglial cells by coenzymes. Biochemistry and molecular biology international. 30 (4): 615–21.